“I started off with Lincoln Logs and building blocks as a kid,” said Joy. On a Thanksgiving morning, Joy moved a house off district land back to Jackson. Without any wires to relocate, "The move took just 30 minutes", he said. "Phil Joy, of Benicia, is a special kind of magician. He levitates whole houses, and even a few train cars, and moves them around like, well, building blocks. ", says John Waters Jr., in an article in Weekly Calistogan News. Specializing in moving historical structures. 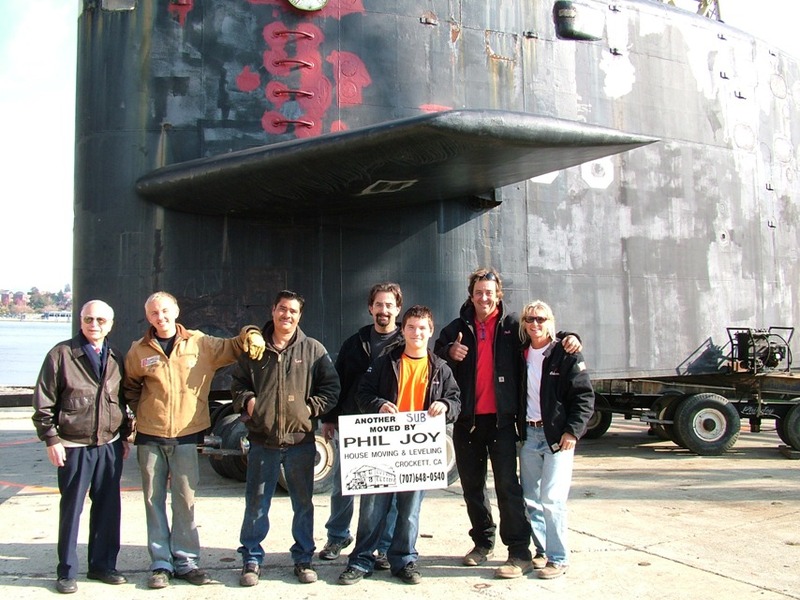 Joy has a big passion for restoring and preserving California history. On May 2010, the Historic Preservation Month, Gerry Hayes - Benicia Historical Society President – attended on behalf of the Historical Society to recognize Phil Joy and Jack MacCoun for their outstanding contributions to the community in regards to historic preservation with their ongoing projects in the City of Benicia. Joy has also helped preserving other states' heritages, like Hawaii. In 2006, he moved a Hawaiin treasure: a 65 tons life-size bronze statue of Ikua Purdy with a concrete base. Phil Joy Company is a member of the International Structural Movers Association. 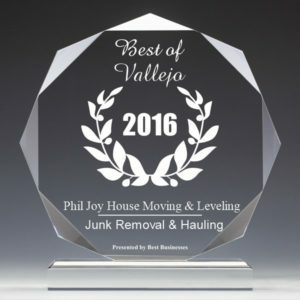 Phil Joy has received an innovated award from the International Association of Structural Movers; and a preservation Award from the city of Benicia. Why are we a GREEN Business? Relocating structures is the world's oldest and largest recycling industry. In addition to creating and saving jobs, and preserving historic structures, these services prevent wasteful demolition, reduce material to landfills, provide increased opportunities for affordable housing and a multitude of additional benifits to the local communities.